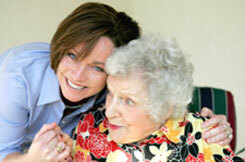 Why Choose Us – Affordable Companion Care, Inc.
We are one of the best home care services anywhere. Companion Care provides one on one care for our clients. This is the absolute best type of care available. With Companion Care, clients are able to stay at home where they are the most comfortable. This makes the entire care process much easier and less stressful for our clients and their families. Our attendants work longer periods at a time so there is not the constant changing of attendants like you get with many of our competitors. We supervise our attendants on a daily basis at first to be sure that our clients and attendants are working well together and it’s a good “fit” for everyone. We provide a relief attendant when the primary attendant does take time off. The are no additional fees for holiday or weekend care. We cover a large area of Southern California including: Los Angeles County, Orange County, Riverside County, San Bernardino County, Ventura County and San Diego County. Yes! We are a Better Business Bureau Accredited Business and an approved Service Magic service provider!